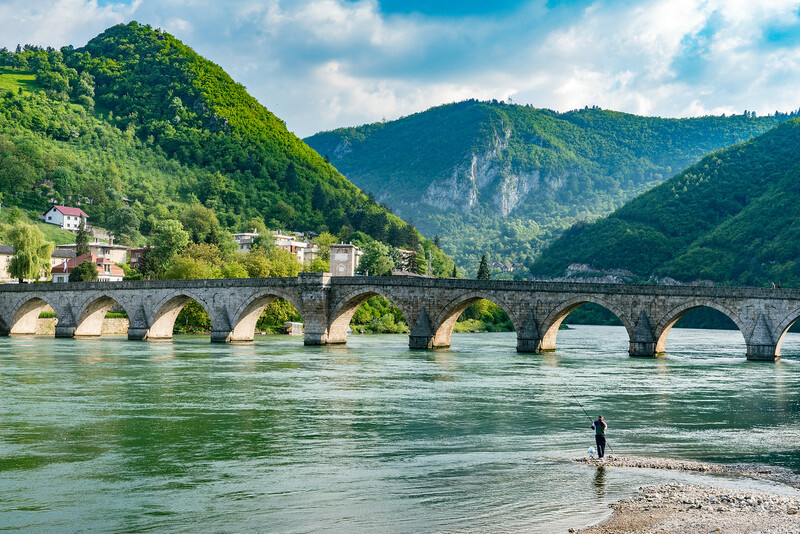 The Mehmed Paša Sokolovic Bridge in Višegrad across the Drina River in the east of Bosnia and Herzegovina was built at the end of the 16th century by the court architect Mimar Koca Sinan on the orders of Grand Vizier Mehmed Paša Sokolović. Characteristic of the apogee of Ottoman monumental architecture and civil engineering, the bridge has 11 masonry arches with spans of 11 m to 15 m, and an access ramp at right angles with four arches on the left bank of the river. The 179.5 m long bridge is a representative masterpiece of Sinan, one of the greatest architects and engineers of the classical Ottoman period and a contemporary of the Italian Renaissance, with which his work may be compared. The unique elegance of proportion and monumental nobility of the whole site bear witness to the greatness of this style of architecture. 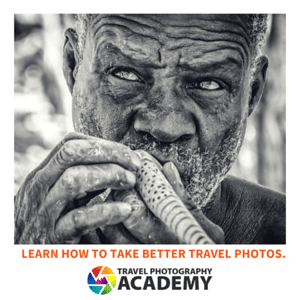 My original plan was to do a day trip to Visegrad from Sarajevo. As it turns out, without even realizing it, I passed right by the bridge on the way to Sarajevo from Serbia. I pulled over my car immediately when I realized my dumb luck, and not having paid close enough attention to my route in Google Maps. The bridge is……a bridge. From a visitation standpoint, there isn’t much about the bridge per se which will draw people. The city is nice and the river valley is beautiful, but the reason why it is listed is for historical and architectural reasons. Visegrad is about a two-hour drive from Sarajevo, so it can easily be visited on a day trip. The bridge is for pedestrian traffic only, so you can’t drive on it, but there is a place to park just off the highway, near the start of the bridge. As there is really only one major road going through town, the bridge is almost impossible to miss. Mehmed Paša Sokolović Bridge in Višegrad is a cultural UNESCO World Heritage Site in Bosnia and Herzegovina. This bridge features an arch design and was inscribed into the UNESCO list in 2007 during the 31st session. 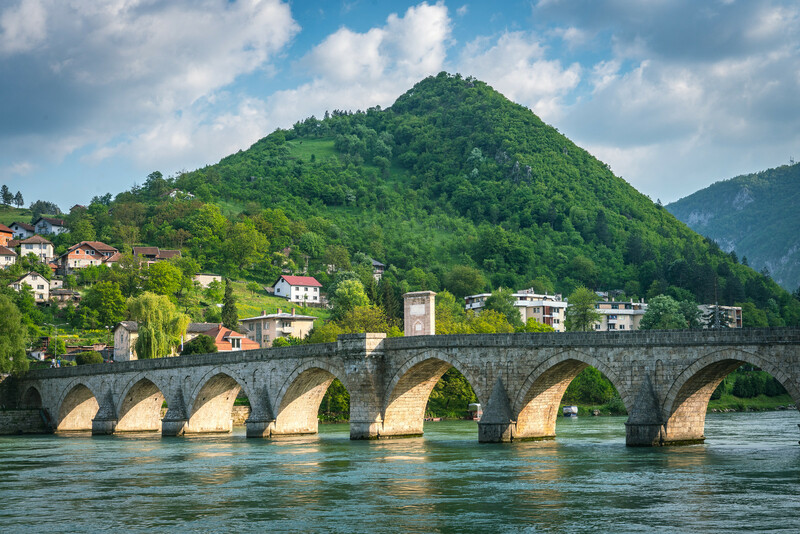 This bridge crosses the Drina River and was constructed in 1577 based on a design by Architect Mimar Sinan. This bridge spans a length of 1795 meters. Mehmed Paša Sokolović Bridge in Višegrad is a historic bridge located on Eastern Bosnia and Herzegovina. It was constructed on the order of Grand Vizier Mehmed Paša Sokolović. 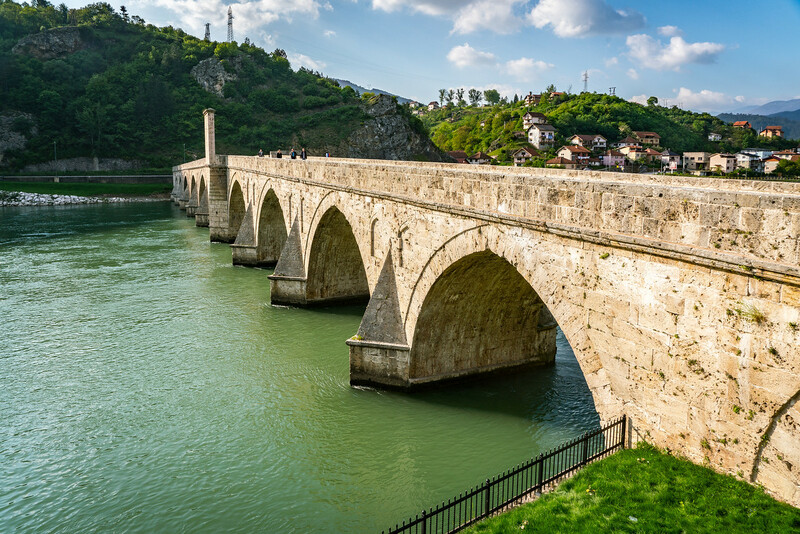 Mehmed Paša Sokolović Bridge in Višegrad is recognized by UNESCO as it is one of the best examples of Ottoman architecture and civil engineering to still exist today. This bridge was constructed by the end of the 16th century through the guidance of an Ottoman architect. Sinan is considered as one of the greatest architects and engineers to arise from the Ottoman period. He is also known as a contemporary of Italian Renaissance. Hence, his works feature influences from both disciplines. Mehmed Paša Sokolović Bridge in Višegrad was initially constructed for as a symbol of power. It is important to point out that this bridge was built at a time when the Ottoman Empire’s power was at its summit. It has come to symbolize power and wealth of the region, especially at a time when trade and prosperity were abundant. The bridge was constructed in 1571 and was completed in 1577. Mehmed Paša Sokolović Bridge in Višegrad is the apogee of the monument architecture and civil engineering techniques in the Ottoman Empire. The bridge features 11 masonry arches that each span about 11-15 meters each. Meanwhile, it also features an access ramp that is positioned at right angles and comes with four arches. Mehmed Paša Sokolović Bridge in Višegrad is believed to be the best example of Mimar Sinan’s masterpiece. According to the UNESCO listing for this site, it is the best showcase of “elegance of proportion” and a “witness to the greatness” of this architectural style. In 2010, an agreement was signed between the Višegrad municipality with the Republika Srpska Cultural Ministry in cooperation with UNESCO to renovate the bridge. A 3.5 million Euro budget was allotted for this project. The bridge suffered some damage during the two World Wars. There were three arches damaged during the First World War, and five additional arches also were damaged during the Second World War. It has undergone several periods of restoration starting in 1664 and until the 1950s. This renovation project was intended to fortify the bridge and maintain its integrity. It is also a move to ensure that it will last for several more years. View the complete list of UNESCO World Heritage Sites in Bosnia and Herzegovina.